224 pages | 8 B/W Illus. Innovation is increasingly invoked by policy elites and business leaders as vital for tackling global challenges like sustainable development. Often overlooked, however, is the fact that networks of community groups, activists, and researchers have been innovating grassroots solutions for social justice and environmental sustainability for decades. Unencumbered by disciplinary boundaries, policy silos, or institutional logics, these ‘grassroots innovation movements’ identify issues and questions neglected by formal science, technology and innovation organizations. Grassroots solutions arise in unconventional settings through unusual combinations of people, ideas and tools. 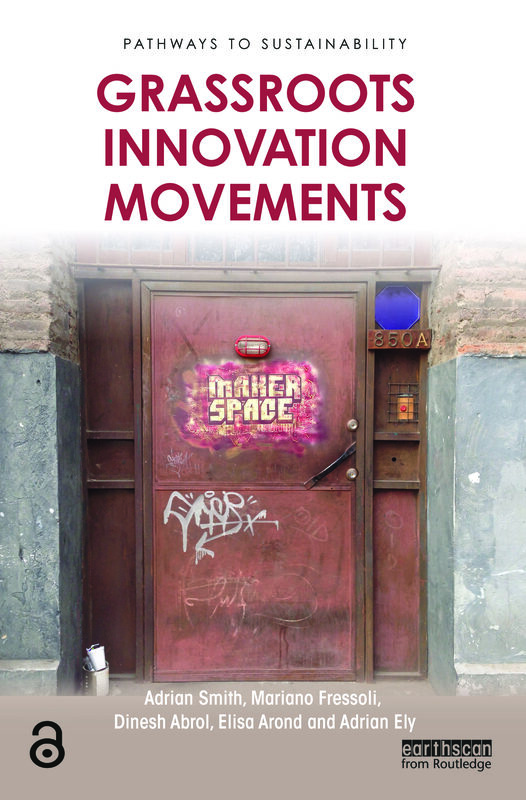 This book examines six diverse grassroots innovation movements in India, South America and Europe, situating them in their particular dynamic historical contexts. Analysis explains why each movement frames innovation and development differently, resulting in a variety of strategies. The book explores the spaces where each of these movements have grown, or attempted to do so. It critically examines the pathways they have developed for grassroots innovation and the challenges and limitations confronting their approaches. With mounting pressure for social justice in an increasingly unequal world, policy makers are exploring how to foster more inclusive innovation. In this context grassroots experiences take on added significance. This book provides timely and relevant ideas, analysis and recommendations for activists, policy-makers, students and scholars interested in encounters between innovation, development and social movements. The book gives a fresh look at the fundamentals of grassroots innovation, re-visiting old and recent themes with novel and challenging approaches through a rich and diverse collection of stories that explore initiatives to build pathways for grassroots innovation, their achievements and limitations. Innovation can often appear remote: something that others do, and who present it to us as the latest, must-have technology. This book suggests a different reality. We are all innovators: individuals and communities, rich and poor, north and south. We must recognise, nurture and harness this wealth of innovation potential, and help ensure all people can access, adapt and use the technologies they need to live a healthy, meaningful and sustainable life. This book brings a unique and valuable comparative perspective to the study of technology and social movements. From India to South America and Europe, Grassroots Innovation takes us on a global tour of design, innovation, and democracy. The book’s detailed case studies will appeal to a wide range of readers, from first-time students to seasoned experts and designers. The value of this book lies in its laying out for us the not so visible world of grassroots innovations, where peoples’ innovations, not the big industrial innovations, are treated as mainstream technologies. There is another important insight. That the social movements linked to the promotion of such innovations, apart from solving real problems, are addressing broader societal dichotomies and developing an alternative political paradigm. The grassroots innovation movement empowers communities by inviting their participation in the creation of increasingly relevant social technologies. Adrian Smith is Professor of Technology and Society at the Science Policy Research Unit, and a researcher with the STEPS Centre (Social, Technological and Environmental Pathways to Sustainability), University of Sussex, UK. Mariano Fressoliis assistant researcher at the National Scientific and Technical Research Council (CONICET, Argentina) and researcher at CENIT (Centro de Investigaciones para la Transformación) and STEPS Latin America. Dinesh Abrolis Professor at the Institute for Studies in Industrial Development (ISID), New Delhi India, and a Visiting Faculty with the Transdisciplinary Research Cluster on Sustainability Studies at Jawarhalal Nehru University. He was previously a Chief Scientist at the Council for Scientific and Industrial Research's National Institute of Science, Technology and Development Studies, India. Elisa Arond is a PhD candidate at the Graduate School of Geography, Clark University, USA, and is also affiliated with the STEPS Centre, University of Sussex, UK. Adrian Elyis Senior Lecturer at the Science Policy Research Unit and Deputy Director of the STEPS Centre (Social, Technological and Environmental Pathways to Sustainability), University of Sussex, UK.